The Louis Vouland Museum is situated near the Saint-Dominique gate of the city walls. It is set up on the residence of Villeneuve-Esclapon and had been open to the public since 1982. It has a beautiful garden and it stores famous pieces of decorative arts which were collected during Louis Vouland’s lifetime. There are furniture, ceramics, gold and silver tapestries, paintings, and many more things that the industrialist left behind. 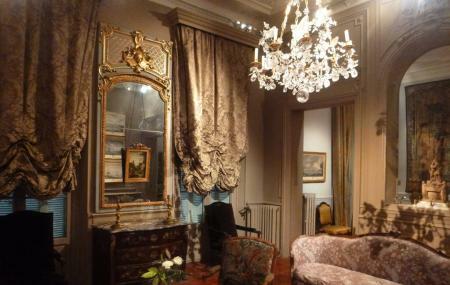 It gives an essence of the luxuries of 18th century. How popular is Musee Louis Vouland? People normally club together Place Du Palais and Epicurium while planning their visit to Musee Louis Vouland. A wonderful museum with brilliantly curated exhibitions. This museum was empty. It should not have been. A special museum with some artworks you can interact with. Some philosophically meaningful artworks that symbolise how nature survives in a world of men and guides, free of charge, throughout the museum are very willing to explain the art exposed herein. Accueil très agréable. Personnel charmant et impliqué. Une très bonne visite guidée. C'est un musée très chouette, avec un personnel adorable... l'expo du moment est juste magnifique.